I’m a sucker for articles or videos about Brian May’s handmade guitar, the Red Special. Premier Guitar has both, and is one of the best and most thorough that I’ve seen. Something I didn’t realise was that in May’s original design for the guitar, which he built with his father, he had included an ‘F-hole’, like a violin. The article shows an arch top guitar that Andrew Guyton from Guyton Guitars built for him featuring that F-hole. What is not featured on the video is that Brian May Guitars now make a large number of variations of his iconic guitar, including the original (in a variety of finishes), a mini guitar, an acoustic and now a bass. I remember as a teenager making sketches of a bass guitar version of the Red May Special. I wonder if I still have them? I dreamed that one day I would build my own… maybe one day. Now I see that both Brian May Guitars and Guyton Guitars have built bass versions and they are quite beautiful pieces of craftsmanship. There’s a new book scheduled to be published by Hal Leonard next month with the snappy title Brian May’s Red Special: the story behind the home-made guitar that rocked Queen and the world. More information on the Queen website. Any chord, all the fingerings! I don’t get to play my guitar as much as I did before I had children, or at least I haven’t yet made it a priority. 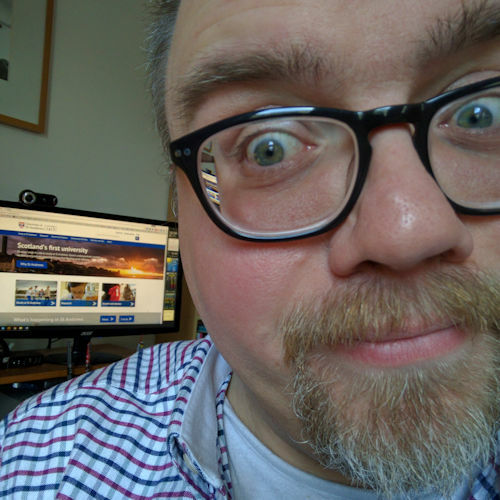 I have a couple of acoustic guitars (a four-string bass and a six-string electro-acoustic) sitting in my study behind me which I pick up now and then and play along to a song on my PC, or I sit in my chair with my guitar and play whatever comes into my head. 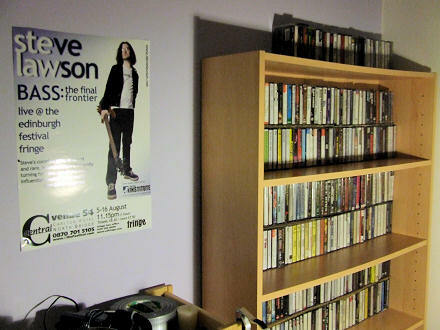 When that day comes I have a shelf-load of guitar books; some books on theory and technique, more, however, note-for-note tablatures of some of my favourite albums and artists. 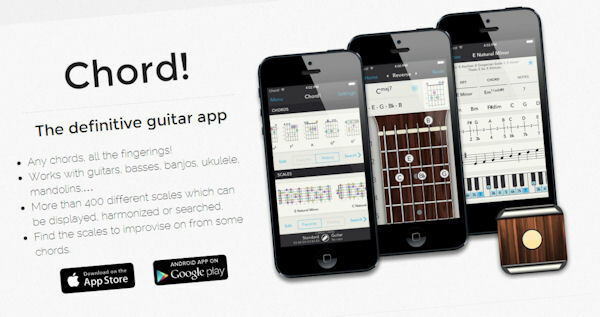 I also have this application on my phone: Chord! Chord! is the closest thing I’ve been able to get for my beloved Chord Magic by Andy Gryc, which was a 16-bit MS-DOS application from the mid-1990s. What I loved about that was I could dial in absolutely any chord, at any point on my fretboard and it would show me the fingerings. Or if I found a cool-sounding chord while jamming, I could indicate on the virtual fretboard which notes were being played and Chord Magic would tell me the name (or variant names) of the chord. You can do much the same on Chord! Unlike many applications it’s not just a dictionary of chord positions, it knows music theory so it calculates everything on the fly. It’s been such a useful tool already, and it looks great on a tablet too. You can buy Chord! on the Android store (£2.99) or on the iTunes app store (US $4.99) or visit getchord.com.